The National Portrait Gallery’s (NPG) exhibit “Marlene Dietrich: Dressed for the Image” showcases the glamor and androgyny of an early twentieth-century rebel whose significance has, until now, failed to be recognized. As an androgynous bisexual woman, Dietrich challenged traditional understandings of femininity. In a photograph of Dietrich as Amy Jolie in Morocco, Dietrich wears a suit and top hat as she holds a cigarette between her lips. 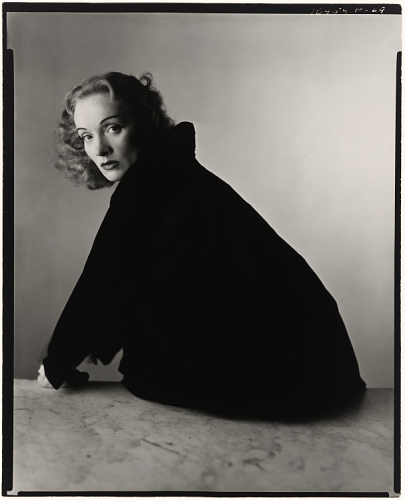 The exhibit’s curator Kate Lemay describes Dietrich’s portrayal of Amy Jolie as “[creating] a palatable figure of lesbianism for American consumption… dazzling and alluring to men, while simultaneously pleasing and inspiring for women.” Dietrich’s expression is, as advertised, both sensual and enchanting. Another striking example of Dietrich’s open androgyny is an image of her at the opening of the film The Sign of the Cross. Clad in a classic tuxedo complete with a bow tie and a tilted fedora, Dietrich poses with not one but two escorts, both of whom were her lovers. While Dietrich’s fashion and polyamory may not seem quite so radical in this day and age, it was far from the norm in her era. The exhibit argues that Dietrich’s ability to make her unique, androgynous style accessible to the public had a lasting impact on pop culture, citing Madonna and Beyoncé’s characteristically bold fashion as evidence of Dietrich’s enduring legacy. Based on the exhibit’s imagining of Dietrich, her obstinance in maintaining her identity and glamorous image fueled her success. Ultimately, her blatant sexuality and aversion to social conventions won her international recognition. In the midst of her glamorous career, Dietrich made her objection to social intolerance clear. As an active voice against the spread of Nazism, Dietrich rebuffed an offer to star in Nazi propaganda films and instead “[demonstrated] her allegiance to her own moral compass, rather than to her homeland.” The exhibit includes Dietrich’s Declaration of Intention document, her application for American citizenship, which was granted in 1939. After emigrating from Germany, Dietrich renounced her German heritage. As an American, Dietrich contributed to the war effort, utilizing her reputation and knack for entertainment. Photographs commemorate Dietrich’s time spent performing in the European Theatre with the United Service Organizations. One shot captures Dietrich washing herself using a helmet as a makeshift basin - despite the conditions of the war, Dietrich appears as stunning and as at ease as she does under the limelight of Hollywood. In 1945, Dietrich received the Medal of Freedom for entertaining troops on the front lines of World War II. Needless to say, Dietrich is a more than worthy subject for the NPG, a Smithsonian gallery that aims to inspire viewers with its display of high-achieving Americans. At this distinct time in American history, when the Trump Administration continues to propagate intolerance, the NPG has developed an image of a bisexual, immigrant woman who defied norms and embodied the American Dream. It is about time that the NPG recognizes Dietrich as a noteworthy figure in history. Moreover, now is the time for us to gain inspiration from Dietrich and emulate her stand against adversity.